You did it! You got a tattoo! You made the inky leap and have something wonderful forever tattooed on your skin to show the world how awesome-tastic you are. But how do you take care of a tattoo? 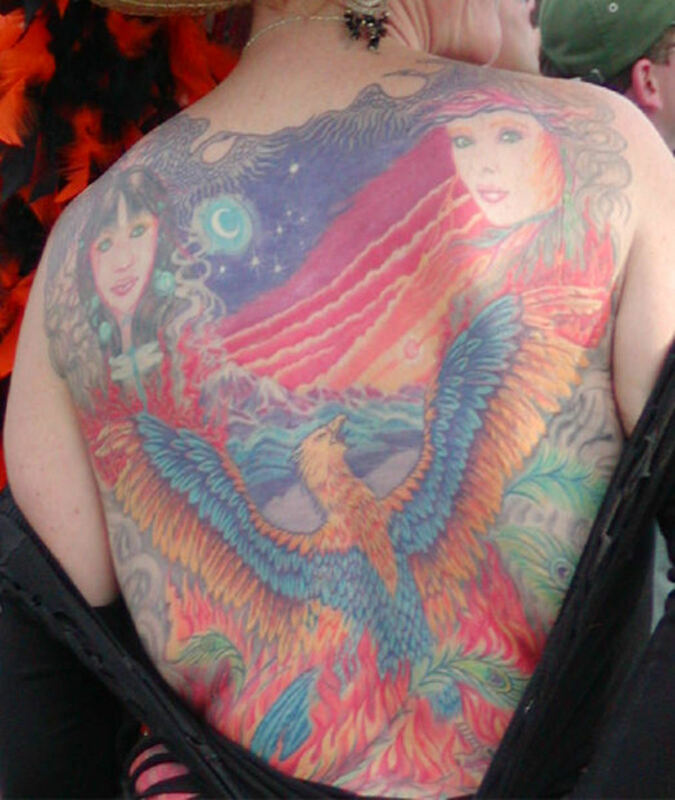 How do you ensure that those few hours of pain in the tattoo parlor were not all for nothing? Believe it or not, tattoos do require ongoing care and maintenance... not tons, but some. Think of your tattoo as a lifetime investment. It's a part of your body now, so if you want your ink to go the distance, you have to put some time and energy into keeping it looking shiny and new. But fear not, by following these simple tips below your tattoo will stay in tip-top shape for years to come. 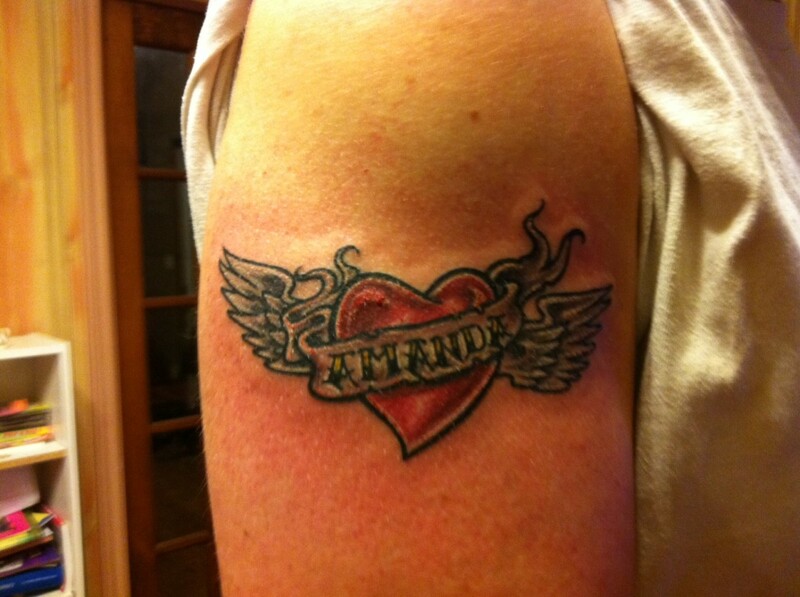 The first 24 hours are critical in the care of your tattoo. It is basically an open wound at this point and needs to be treated accordingly. Any artist worth their salt should have sent you home with an aftercare sheet with specific instructions on how to care for your tattoo during this critical time. However, if for some reason they didn't or you lost it in your ink-induced euphoria, here's a reminder. How long should I leave the bandage on my tattoo? 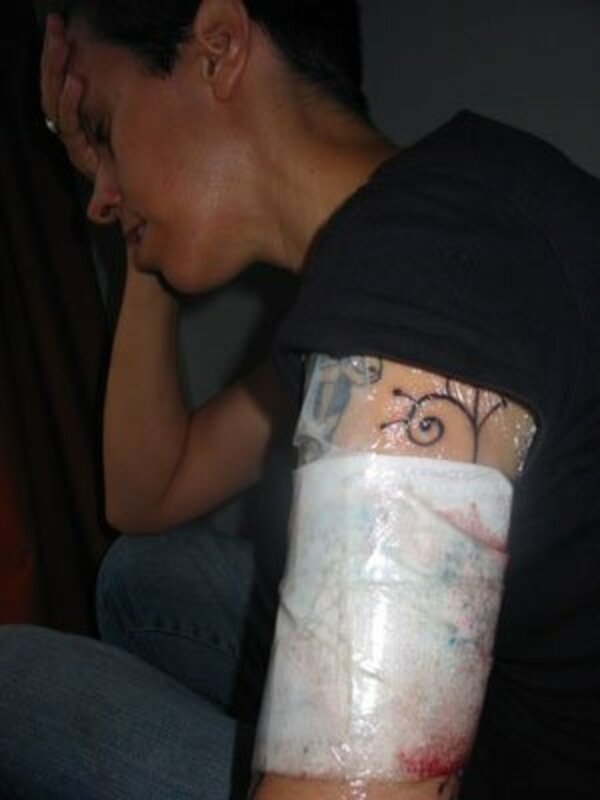 2-4 hours after you get tattooed, remove the dressing if one has been put on. Usually the dressing consists of plastic wrap or gauze and some tape. The dressing is there to soak up any blood and/or excess ink, but should not be worn long-term. Your tattoo needs air. Can I touch my new tattoo? Make sure that no clothing or jewelry, or anything else for that matter, including you, touches it. Do not touch your tattoo while it is healing! It's a wound and you do not want to introduce bacteria into it and cause an infection. What does a new tattoo feel like? Pain. When the tattoo-euphoria has lifted, the area might feel like pulverized meat or a hundred bee stings. Ibuprofen may take the edge off, but not entirely. Heat. Your tattoo also maybe throwing off a lot of heat. Don't worry, this is normal and not a sign of infection. It may throw off heat like this for several days as your body is healing. An ice pack will help, but be sure not get water on your tattoo. Excessive exposure to water is the enemy of the newly tattooed. On the other hand, you should keep it clean. Scroll down for instructions on how to wash it properly. Note: If the heat and pain don't start subsiding after a day or two or increases in this time frame, go to the emergency room, you may have an infection. What will my tattoo look like right after it's done? A vibrant, red and puffy masterpiece, covered in slime, ink and blood. Not so pretty I know, but wait for it... soon your tattoo will be amazing. At this stage the colors on your tattoo will be their brightest. Don't expect them to stay this way. 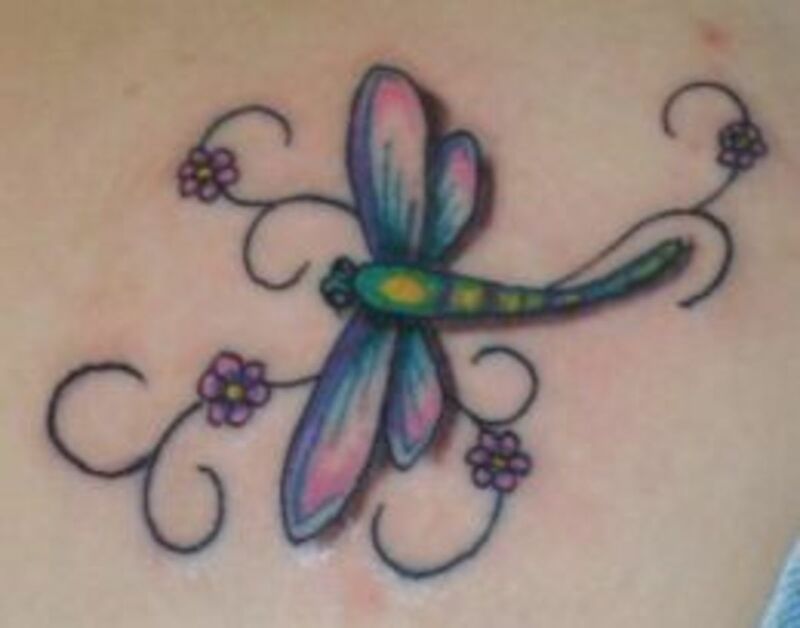 Your tattoo's color will fade slightly by the end of the healing process, however, it shouldn't fade so noticeably that you feel like a touch up is needed. Some swelling around the tattooed area is normal, as is some redness. Again, this should subside in a few days. If it doesn't and a red line forms, you have a blood infection and will need medical help immediately. 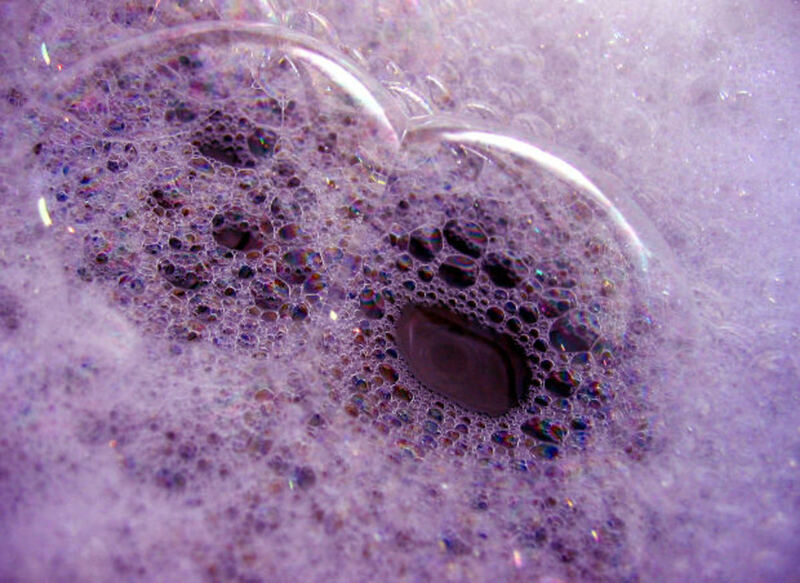 4-6 hours after you have been tattooed, wash with an unscented hypo-allergenic soap and a clean, non-fluffy face cloth. You can take a shower, but direct spray is not a good idea as it maybe painful. Use cool water and be as gentle as humanly possible. You need to wipe off the excess ink, blood and slime and start the healing process. As I mentioned earlier, your tattoo will be puffy, red and slimy at first, but as you wash it, the slime will disappear and you will be left with red and puffy tattoo goodness. In all honesty, it will be incredible tender so you may have to force yourself to actually apply any pressure to your newly tattooed area. It is necessary though, so don't wimp out. 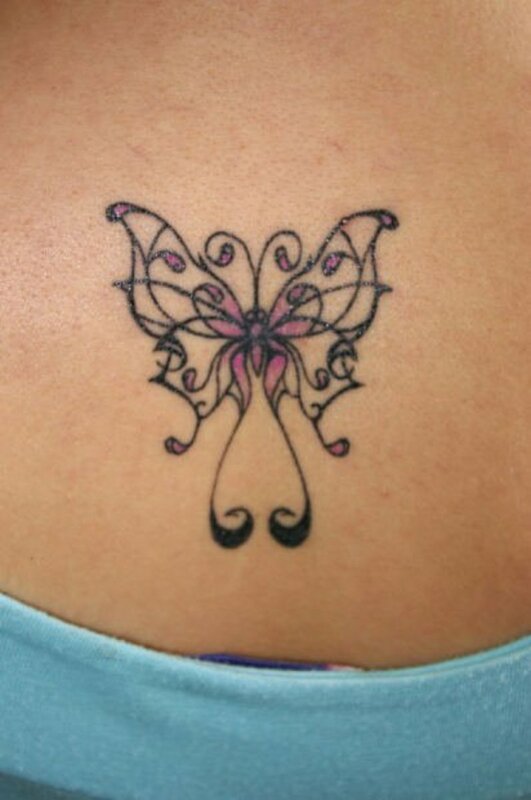 After this first washing, you should plan to wash your tattoo at at least twice a day until it is completely healed. Do not soak your tattoo! Showers are fine, but baths, pools, and hot tubs are big no-nos. Will it hurt to wash my new tattoo? The sensation can range from uncomfortable to quite painful, it all depends on the size of your tattoo, where it is, and how heavy-handed your tattoo artist was. I actually enjoy the first wash a lot. The cool water always feels soothing on my stinging flesh and it allows me a good first look at my new ink. After you've washed your masterpiece, you will need to apply an ointment or salve of some sort to keep it from getting too dry and promote healing. 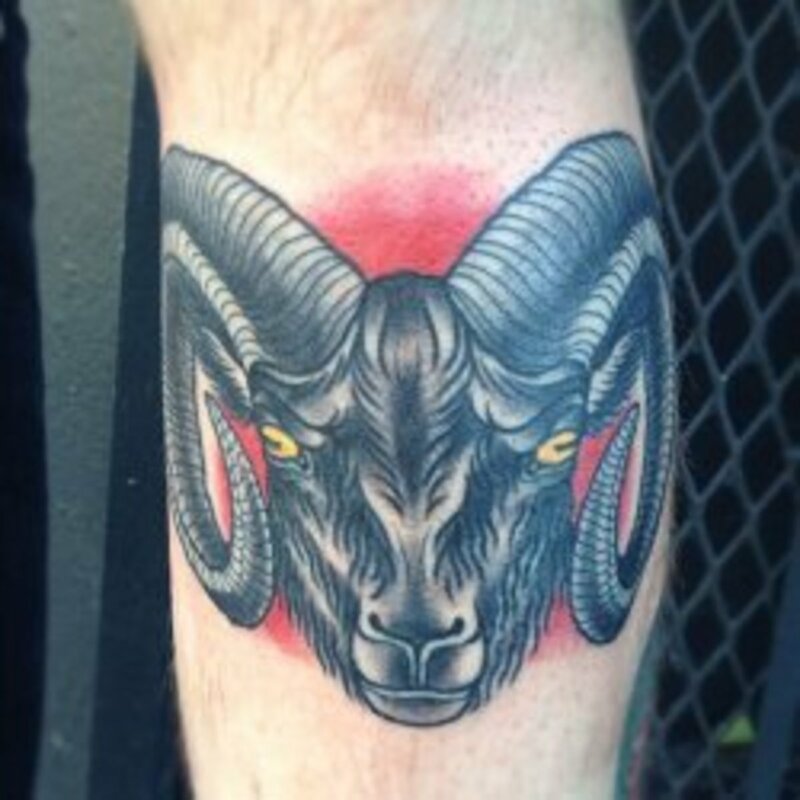 What kind of ointment should I use on a new tattoo? This is somewhat of a hot button issue for tattoo artists and collectors alike. Some people swear by using a medicated ointment like polysporin to speed up the healing process, while others stick with good old fashioned Vaseline. Still others insist that vitamin E oil or cream is the best option, and most recently I have heard that a non scented, hydrating cream may work best. I have never gone wrong with polysporin so that's my salve of choice, but the choice is yours. No-color and no-scent are a must in choosing your ointment. How do I apply the ointment? For the first three days, every 6 hours is a good schedule for applying ointment. However, if the tattoo feels dry and tight, don't be afraid to apply ointment earlier. Make sure you do not put too much ointment on your tattoo and that you rub it in thoroughly. Your skin should look slick, but not wet and goopy. 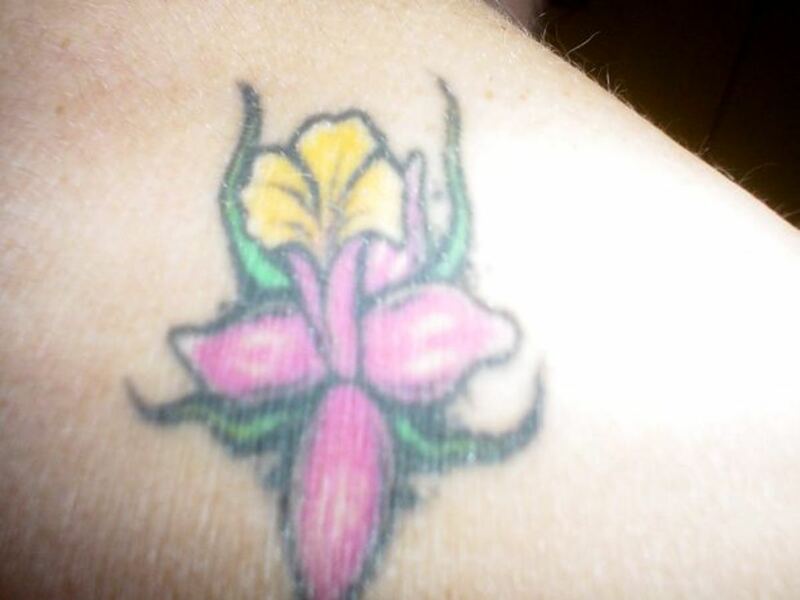 Too much ointment can leach the color out of your tattoo, blur the lines, and actually delay the healing process. Be sure to wash your hands before applying the ointment. It will feel quite painful and tender when you rub the ointment into your skin. 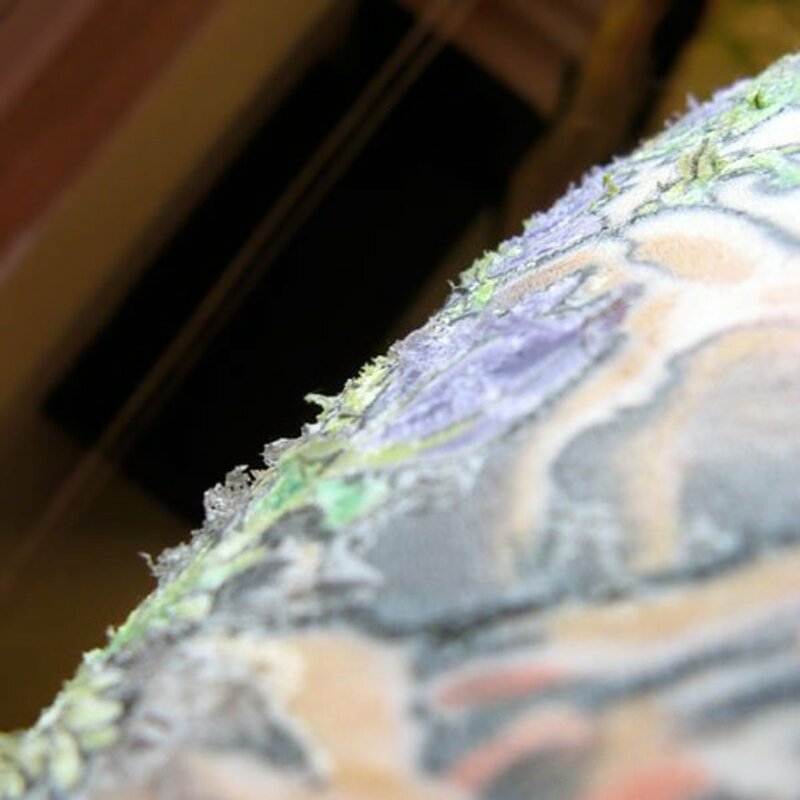 In fact this might be the most painful stage, but push through or risk having an even more uncomfortable experience when your tattoo becomes dry and cracked. It's worst during the first 24 hours, the pain should subside after a day or two. Your tattoo will really stick out at this point what with the swelling, vibrant ink, and shiny ointment coating. Be careful that things don't stick to it, though. 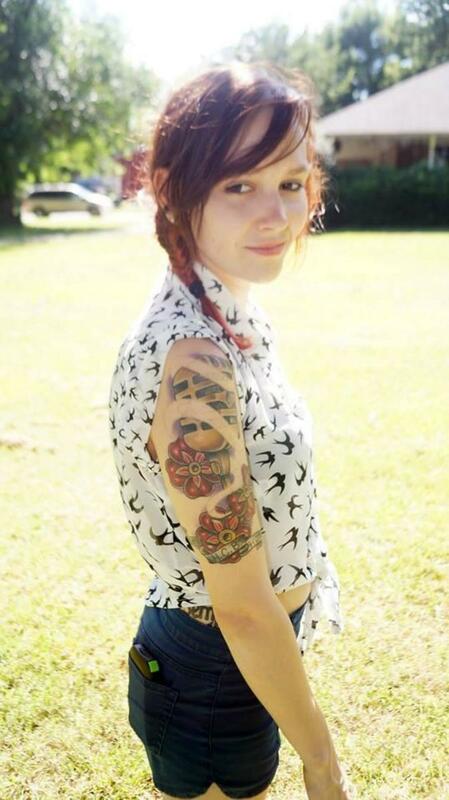 Your ointment-covered tattoo will be a magnet for lint and all kinds of other weird things so think before you lean. The first week after you've been tattooed is all about the pain and peel. Some people don't experience much pain, others are uncomfortable for an entire week, I certainly was with my elbow tattoo. Location does make a big difference in the pain game. If you get off lite on pain, you're lucky, but be advised, no one escapes the peel. That's right, by day three your skin should start scabbing up in places and peeling in others. Think of it like having the mother of all sun burns. 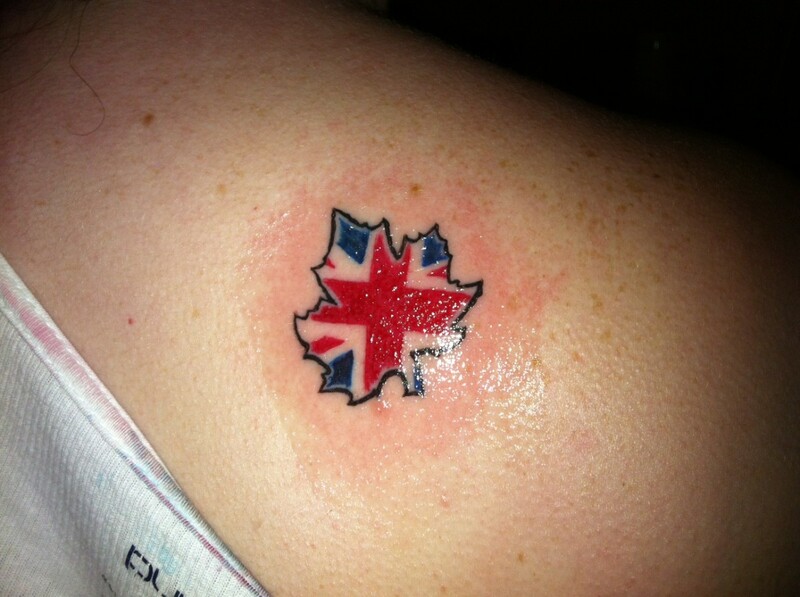 Itchy and scabby. DO NOT PICK! I know it will be hard to resist, but picking can screw up your tattoo. If the itchiness gets to be too much slap a cold facecloth on the offending area or an unopened frozen bag of peas or corn. You will still need to be washing your tattoo at least twice a day during the first week and applying a light coat of ointment as needed. Don't let your tattoo get too dry or too wet. Gross. Seriously, it will be flaky and scabby and you'll think it looks craptacular, but wait for it. Like the not so awesome caterpillar in her cocoon, your tattoo will will emerge like a butterfly and show the world how amazing it really is. Is it awesome yet? Well at this stage of the game your tattoo should be. Now that all the swelling, scabbing and peeling is behind you, you should have an amazing piece of art adorning your skin. Don't panic if there are a few lingering scabs, some people just take longer to heal then others. Do panic if the area around the scab is red and weepy or you see any sign of infection. It is always better to be safe then sorry with your health, so if the area is still red and puffy and you are not seeing daily improvement after a week, go see your doctor. Awesome because you finally have a rockin' tattoo! The swelling should be completely gone as well as the scabs and peeling. The pain is behind you and only awesome times of showing off your wicked body art lay ahead. Fan-freakin-tastic! Your colors should be vibrant, not as vibrant as the day you got it done mind you, and your lines should be clear. If you notice any imperfections in your tattoo, like breaks in lines or missing spots of color, make note of them and keep an eye on them closely. A touch up might be needed. If so, your tattoo artist should offer them to you free of charge. Your tattoo is like their business card and they don't want to be associated with shoddy workmanship. Bear in mind that they won't be able to touch up your tattoo for at least a month, but don't wait longer then that to see them or they won't be as likely to touch it up for free. I'm not saying become a vampire, but sun and tattoos don't mix. It fades the colors and blurs the lines. Besides how will people be able to see your awesome ink if it's competing with your ridiculous tan. Tattoos are your skin, if you want nice skin drink lots of water. Dehydrated = scaly and withered. Hydrated = radiant and awesome. Depending on the location of your tattoo, know how to protect it from damage. Whether it's wearing the right shoes that don't rub against your foot tattoo or breaking out the sunscreen to cover that half sleeve, make choices that protect your investment. When you have to pick between showing off your ink or potentially damaging it, you know what to do. Tattoos are awesome! And if you take proper care of them from the day you get them they will have a lifetime of awesomeness. So no excuses, if you haven't gotten a tattoo yet, it's high time you did and with these healing tips in hand it should be smooth sailing. Happy inking! kidscrafts, thanks so much for reading and commenting even though tattoos are not your thing. Torrilynn glad you found the tips useful. ellesvoice thanks so much for chiming in. I am thinking about trying the moisturizer route for my next tattoo. Great hub! When I got my tattoo, I got it with a friend. He used a medical ointment on his and it ended up sucking a lot of the ink pigments out of his tattoo while it was healing. He ended up going in for a tough up six weeks later. With mine, I only used the medical ointment once or twice before I switched to my regular body lotion, Queen Helene's Cocoa Butter Lotion for body, face and hands. The lotion worked like a CHARM for me! It's not greasy or grimy, but the moisturizing effects last a really long time and it just felt SO good to put on my hot, pissed off skin! Aside from the shotty artwork on one of the eyes, my tattoo still looks brilliant, two years later! might get an infection. thanks for the hub. I can totally appreciate the art....but not the pain! Some designs are just awesome and beautiful! But I will pass being tattoed. Very interesting hub! Thank you for all that information!